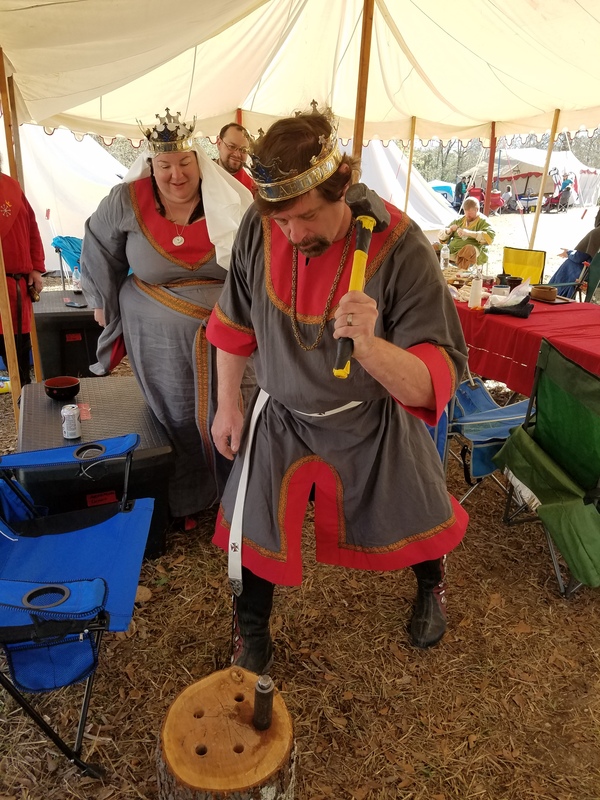 At the BMDL 12th Night Celebration, TRM Gareth and Juliana granted the petition from Master Anias Fenne and Earl Byron of Haverford to create a Moneyers Guild for the Kingdom of Æthelmearc. 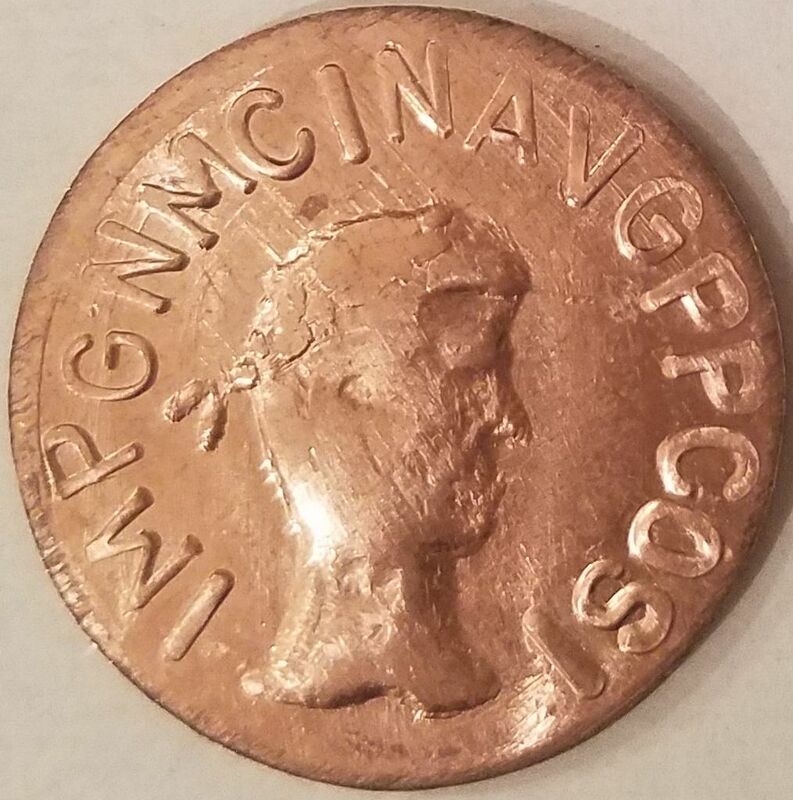 The Guild’s first coin (a recreation of a 1st-century Roman copper As) had already been struck and given to TRM at Their Coronation. With the formal acceptance of the Guild, a plan for the next Royal Coin was set in motion. The culmination of this plan was seen at this year’s Gulf Wars. 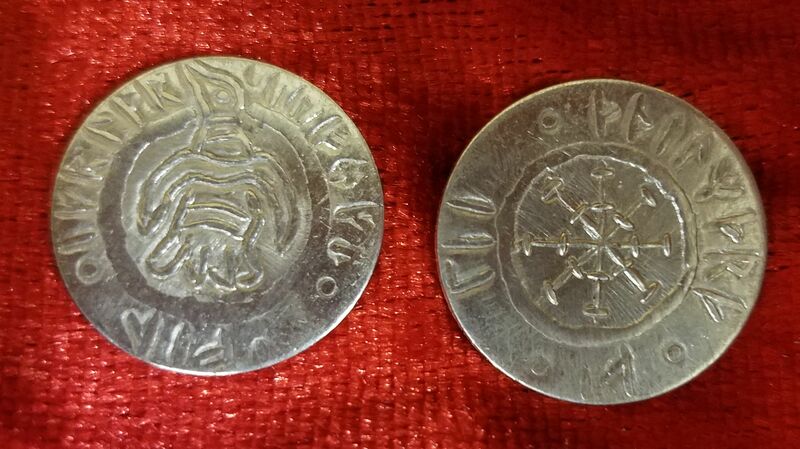 In the middle of the Æthelmearc encampment, the dies were set in a stump, and every citizen of Æthelmearc who was present at the War was encouraged to strike a coin (or two or three) for TRH. 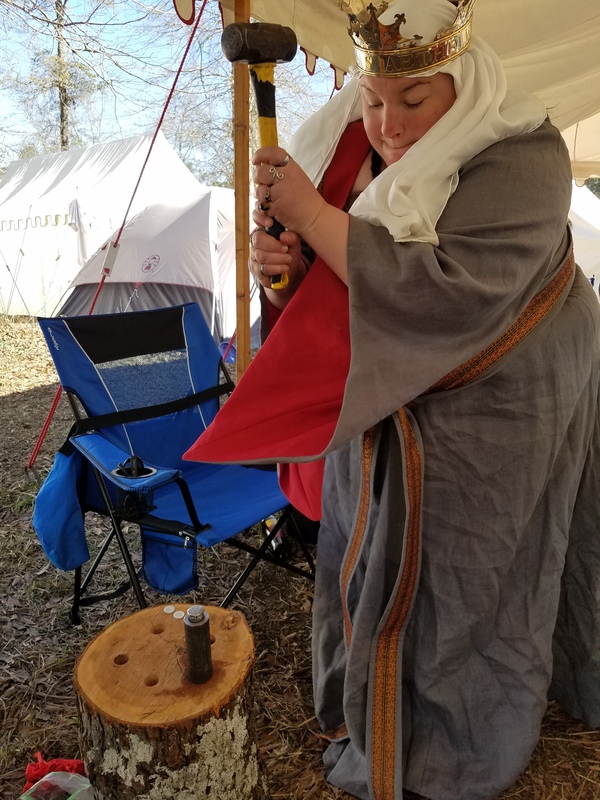 People found time to strike coins when they were preparing dinner, relaxing in the tent, visiting from other encampments, or just passing through. There were even some Royal participants! 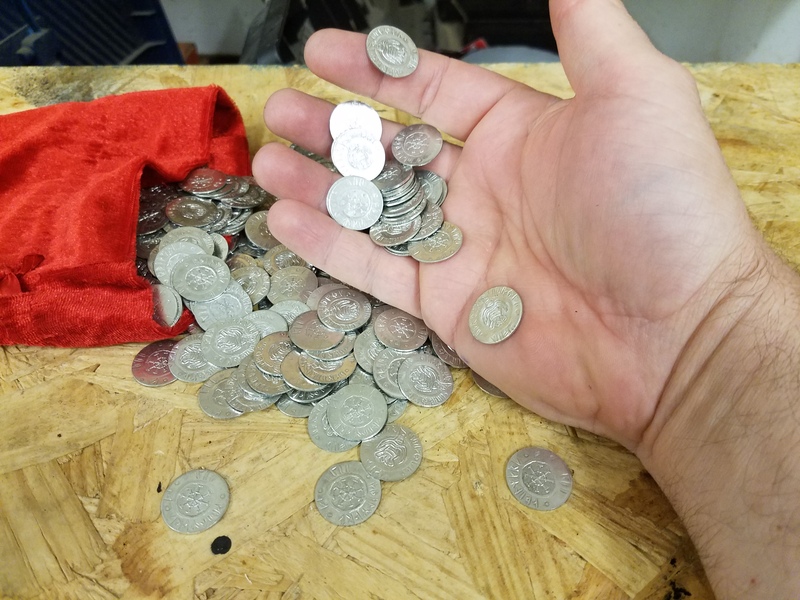 About 50 people joined in, striking around 300 coins. The community of moneyers at Gulf Wars was supportive and knowledgeable. They were elated to hear that their art was being formalized in the Sylvan Kingdom. Some of the best-known coin makers in the Known World were present and teaching at the event, providing the new Guild with much-needed guidance and advice. Thus begins the Moneyers Guild of Æthelmearc!